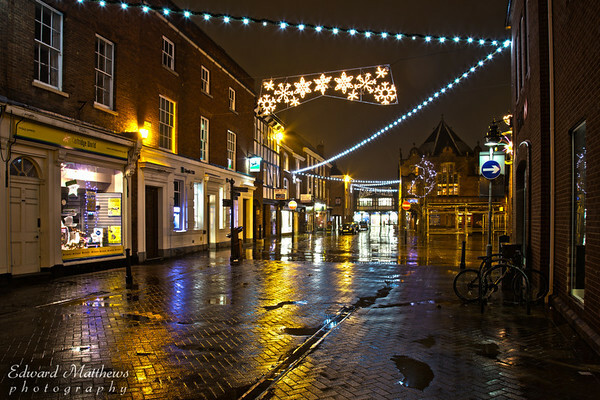 Lichfield City Center, near the market square on a wet rainy Friday evening in winter. The Xmas lights made it quite beautiful. Shot with multiple exposures and combined using HDR.